It seems like you have time to work out every day. I’m a teacher, and the summer is here, so I’ve got some time too. If you don’t mind, talk about the balance between pushing hard and recovering. What is one hobby/skill/venture you’ve toyed with for some time, but haven’t yet jumped in for? What is the normal time period you give yourself to see if a particular supplement is benefitting you? Are there any that you continue to take based purely on scientific knowledge rather than noticeable affects on your mind or body? I’d love to know about your specific supplement routine, what exactly you take, when you take it, & why. I’d love to know how often you eat particular supplementarary foods, such as oysters, liver, & seaweeds. I’d love to know what supplements you take when travelling, & what you take before & after a trip in preparation & to help recover. I’d love to know the one supplement yiou’d take above all others, your desert island supplement if you will. I know you play ultimate, go to the gym, do slack line and paddle boarding. Do you have a fixed schedule for your workout/exercise routine? If so what is it? I have a question to ask, since I am aware you are keen of spontaneous emergent structure in one’s day, e.g a day whose structure is built up based on intuition, rather than idealised programming. To what extent are you aware of “unpatterning”? That is, using the insight of the relationship between randomness and fractional dimensions to derive “power laws” which one can intuitively apply on any structure to render it more random. Dogs do that naturally when they walk. Humans thrive when a little randomness is thrown in; this is expanded in Nassim Taleb’s “Antifragile”. To what extent are you unpatterning your day’s “routine” (or non-routine, since this voluntary exercise exists purely to defy routine for novelty and hormesis)? Hi, Stefan. I’m interested in learning more about this. Is there a book you’d recommend as a starting point? I’m checking out Antifragile, but if there’s something better for someone new to the concept, I’d be grateful to hear about it. I’d love an updated list of the ten foods you’d live off exclusively if you had to for the rest of your life, & why. 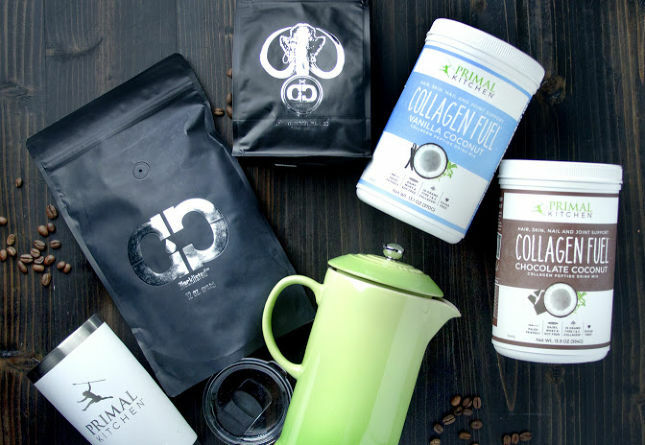 over the years this blog highlighted the importance of many supplements; collagen seems to be the current favorite to cover right now but others have been MDA’s darlings to recommend in the past, such as Omega 3’s and magnesium. In this particular post you’re talking about the importance of adoptogens for performance. Consistently getting a good night’s sleep remains my #1 challenge. My wife (a 4th grade teacher) sets her alarm for 6am daily, which means I’m up then as well. Meanwhile, my schedule as a grad student means unpredictable weeknight schedules and the occasional late-night study session. Do you have any thoughts on using primal calm as a occasional sleep aid? When I say occasional, I do not mean this as a cheat for reducing digital stimulation and proper primal lifestyle choices. Sometimes, there are occasions when we find ourselves staying up late, for example, watching our favorite sports team. Have you had experience taking this before bed in effort to reduce the stress from digital stimulation and bring the body back to a state that welcomes the onset of melatonin? In my experience, the affects of primal calm are very noticeable and have a very relaxing affect at bed time. Do the adaptogens and collagen interact? What is one health food/supplement that you just can’t stomach? Mine is bee pollen – blaachh!! How much do you vary your routine? Do you mix things up a bit or do you try for consistency? And what do you think are the advantages/disadvantages of each approach? I’d love to know more about your families food & supplement intake, particularly if it’s different to your own, & your supplement reccomendations for certain stages of life- childhood, teenage years etc. How much mobility work do you do? Do you use a foam roller? What about a quick video on your favorite mobility exercises. I have found being such an active person that using collagen, drinking lots of water and adding Pilates has really helped my body feel great. I also have a little mobility routine I do most days but would love to see a few “full-body” mobility workouts that you suggest. 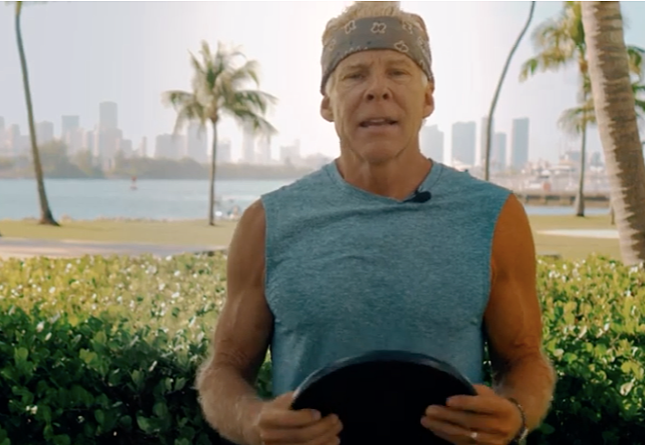 Maybe the youngins’ do not need it … at 67 years old, every morning, I enjoy mobilizing my body (hips, spine, shoulders, and more.). It feels great and gets me ready for the day – it’s enlivening! How often and/or how much effort do you put toward mobility movements to loosen up and stimulate joints, tendons and ligaments? If so, do you have a regular routine … kind of pre-hab approach? If so, please show us a video. How much average protein do you eat per day over a weeks time? I’d love to know what it looks like getting in your steps every day looks like and how many steps you shoot for? Several daily walks? One big walk? Do you reach 15k from pacing while writing or on your treadmill desk if you’re still using? Do you need to include “formal” exercise and weightlifting? Or can hiking fairly steep terrain carrying a toddler and gear count? I know you recommend meditation but I find the sitting style uncomfortable. Think long quiet nature walks suffice for a more casual walking meditation? Finally do you have more wise sage advice since your kids are grown? Thank you! What is your advice for building a brand? Brand Sisson is accessible, trustworthy and global. 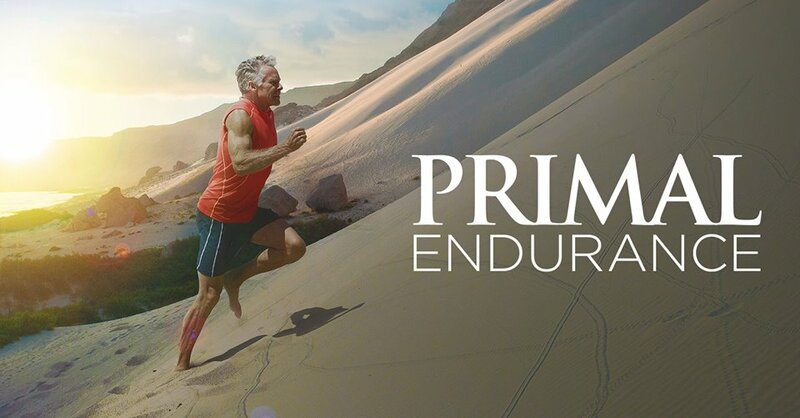 As a budding primal coach, how did you get there? Yesterday the 21 day reset coach, Michael posted a video on how we don’t like bread. That we actually like the seasoning, sauces, fats that make those foods delicious. Basically the bread is a vehicle for the real enjoyment. I think he makes an excellent point. He then gave some examples of how to use fresh veggies as a vehicle. Some sounded really interesting. Personally, I really like pizza with cauliflower crust. I was wondering if you had a favorite non bread recipe for a classic meal? I would like to know about things you have tried and dropped from your routines, and why. Some examples might include supplements, types of movement, play, specific foods for nutrition, sleep enhancements, etc. The more I read and learn, the more things I have added to my already cluttered life and I would like to simplify to the essentials. Hey what do you think about cooking at very high-heat (wok) with avocado oil? It has a smoke point of over 500 degrees! So I thought it would be the bees knees! But it just dawned on me that it is mostly monounsaturated. I think ghee will be my go-to since it has a 500 degree smoke point but is saturated. But I’m wondering…avocado oil…what do you think about doing very high heat (like searing a pork chop) cooking with it? Do you have any pets? What do you feed them? 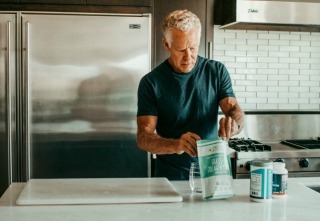 On occasion, you’ve talked about how us “over 60s” need more protein because we don’t metabolize it as efficiently as we did when we were younger. I know that the number of grams of protein each person should have is a range and not a specific number–but how much more would you recommend us “experienced” people get? –Perhaps as a percentage of the range. Thanks! 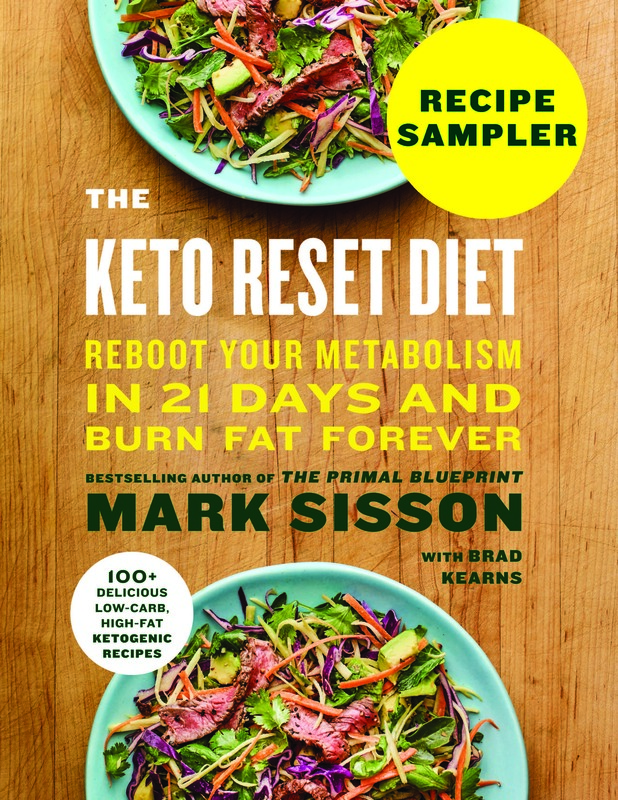 I read your “Keto Reset Diet” book and I’m struggling to understand your advice regarding workout length – to keep it less than 30 minutes. When allowing for rests between to-failure sets, setting-up, tearing-down, chatting, waiting for equipment, etc., the total duration of my lifting tends to last anywhere from 45 to 60 minutes. But, there’s a good amount of rest in there, which I always thought was fine (since I’m looking to build muscle, not necessarily lose fat). Is the 30-minute limit meant to only be as you are starting keto, or forever? Do you keep your lifting sessions to less than 30 minutes, regardless of rest between sets? 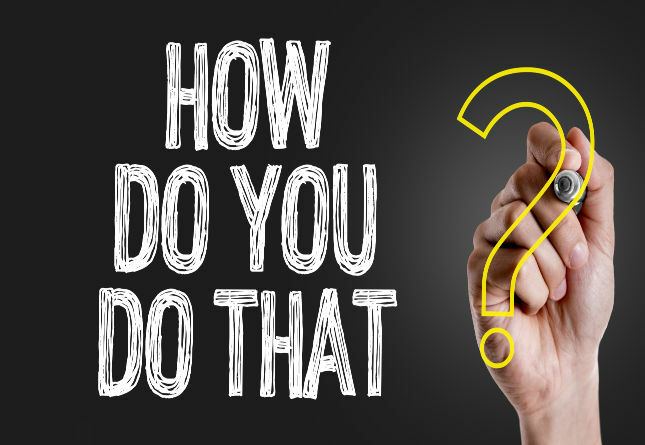 What is one thing you know you should do but don’t? I love the website, but the advertising that comes through email is very misleading. 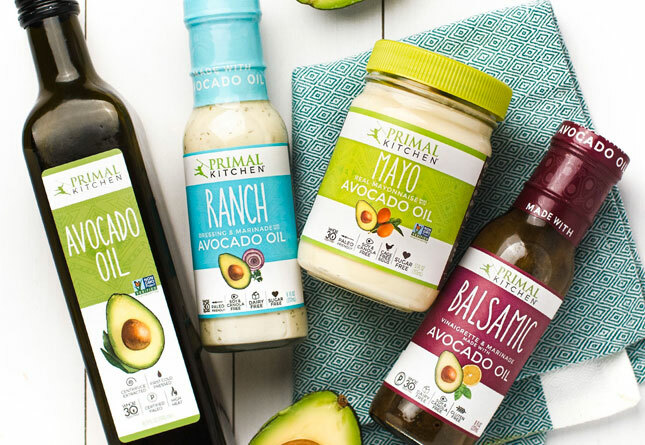 “Buy the Primal Pantry Kit, and get Chipotle Lime Mayo for FREE!” Great, so I did. I got free mayo ( $9.99 value), but the shipping cost is crazy! Will never order again if it cost $15 to ship the order of $34. In other words, ordering mayo at full price would have resulted in the exact same deal. This is disappointing since I have come trust the website and ordered some things before. Using this type of aggressive and misleading tactics on customers and readers is not very primal. What is your current take on consuming alcohol and what’s your weekly consumption (if any) look like? Why do you sell collagen peptides as opposed to collagen hydrolysolate, and what is the difference? Do you like Hot yoga? Any benefits? Do you EVER use Tallow as a moisturizer for your skin and or hair? My question concerns Primal treats. How often do you have them? What is your favorite dessert to make that is both enjoyable and Primal-friendly? Thank you so much! Hi Mark, What do you do for your brain health (i.e., supplements, reading, puzzles, etc.)? Are there any preventive supplements or herbs you take when you start to feel like you are getting sick — or maybe when you are going to a high traffic area where there may be sick people (traveling in an airplane, for example)? Anything you take after you have gotten sick? How often do you just go for a walk? I’d like to know your wife, Carrie’s exercise routine. As a 45 year old woman in good health, I often wonder what “older” women are doing for Primal Exercise and how often. What creative outlet do you use. Mine is drawing mandalas with my own unique twist. Very good for my mental health. Especially after stressful times. I’d like to know if you eat many vegetarian meals. I’ve wrestled with how much protein I should eat and if it’s healthier to eat a more plant based diet (not necessarily high carb plants). Grok didn’t take supplements, so why should we? You have been doing the keto thing for a while. Do you plan to keep it up for years to come, or do you plan on cycling carbs back in? Does keto support your exercise routines and play? Also I’m curious, do you drink any herbal teas? How do you prepare for dinner each night? Do you have someone who cooks for you or do you cook your meals? How do you choose what’s for dinner? Can you walk us through what dinner time looks like in the Sisson house? You’ve described your typical intermittent fasting patterns of eating. Do you ever do extended fasting? If so, for how long? Why do you (or don’t you) do extended fasting? If you do extended fasts, what would make you stop (and vice versa)? My question would be- what method do you use to bring yourself to a calm state if you’re stressed? Meditation? Prayer? Breathing? Walking? Music? Yoga? What works for you, what do you think the most beneficial practices are to help a person reach a state of zen in a hectic world? Do you incorporate intermittent fasting in your health regimen? What’s your guilty pleasure? You seem to be the poster child for perfect health, but there’s got to be something. 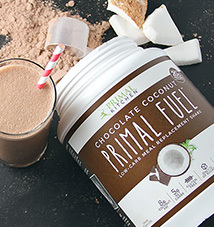 Do you have a “How to” guide for eating Primal at any budget? People generally talk about morning routines, but I’m curious about your evening one. What time do you go to bed each night? Does it change each day based upon the sunset? Do you take any supplements pre-bed? How long do you wait between dinner and sleep? Do you have a yoga/stretch/meditation/journaling/etc before bed routine? I think this would be interesting to hear about. Thanks! Is there a food or foods that don’t fit into the Primal lifestyle that you would find “worth it” to indulge in occasionally? I’m envisioning my mom’s Apple pie ? What’s your description of aging well? What does it mean for you? What is your routine in the hour leading up to bedtime? Do you ever have trouble sleeping? If so, what is your process in helping yourself nod off? I have bi-polar and take medication for it. Is there anything I should be doing extra or different to others? How long do you warm up and cool down before and after your workouts, and what do you do? Static stretching, foam rolling, gentle movement? How can I remain Paleo/Primal while in the military? And in a war/combat zone? This question is specifically for my husband. He is in Kandahar at this moment and I want to give him some tips and tricks and somehow asked to stay Paleo/Primal. What does your daily work-play balance look like? Do you spend a good chunk of time hunkered down with work first, or do you get in your active time first? Or, do you head outside with your laptop and frequent slackline breaks? Do you do any daily stretches or exercises to counter computer posture? How about That the testos therapy that you do. Would you recommend it for a 56-year-old? What do you eat when you travel? What is the most difficult part of sustaining your lifestyle? Where are you still having difficulties making improvements or what is something you are still trying to change, but can’t quite succeed in adjusting to satisfactory standards? I’d love to hear your opinion on kombucha and how much is ok if any when attempting a keto diet. Also if it would help (because of the supposed detoxifying effects & good bacteria) or hinder weight loss because of the carb sugar content. I’d love to know where you’d live if you could pick anyhwere in the world, & also where you think the most conducive locations to the primal lifestyle are around the globe. I’d like to hear your thoughts on pure vegetable juice (mainly green) on a keto diet. I’m very active, & find it’s a great way of hydrating in summer. Would really love to hear your thoughts on medicinal marijuana, it’s stres relief potential + possible benefits in treating everything from cancer to autoimmune disease. Plus what do you think of hemp protein powder? How soon will you see and feel the benefits of taking collagen? Will it help with arthritis? When you HAVE to have junk food, what do you get? I ask this because not everyone has the mental fortitude to reject everything not primal, or even keep it to 20%. Let alone living with others who don’t have those same values. Thanks so much for all of the competitions this week Mark. I’d love to hear which supplements you’d prioritise if you are on a really tight budget. If you had to choose one fat to cook with above all others what would it be? Also would love to know what supplements you‘d suggest for chronic pain. If you feel a little “blah”, how do you decide if that means you should rest or actually a work-out will help invigorate you? I struggle with finding a balance between ensuring I get enough recovery time but not succumbing to lethargy. Do you have a morning “5 minute flow” (ala Max Shank) habit, and what does your warm-up / cool down routine look like ? Do you practice foam-rolling, self-massage ? How would resistance training look for a stay at home mom with minimal equipment? Weekly programming? What movements do you advise people to do for a strong core? What are some tools you used to permanently shift your mindset about food, exercise, and lifestyle? It seems like I know all of the right stuff and still can’t shake my attachment to thinking about calories, working out insanely hard, etc. Most of us think about supplements for ourselves, but I would love to hear what you think about supplementation for kids and teens. Thanks so much! I took collagen for the first time a little over a year ago, thinking it might help heal my Achilles tendon. Not sure if it had anything to do with it. Once my supply ended, I haven’t taken it. I think I’d like to, but would I stop then taking whey protein, which I add to morning smoothies? Would it be too much to take both or is collagen enough? 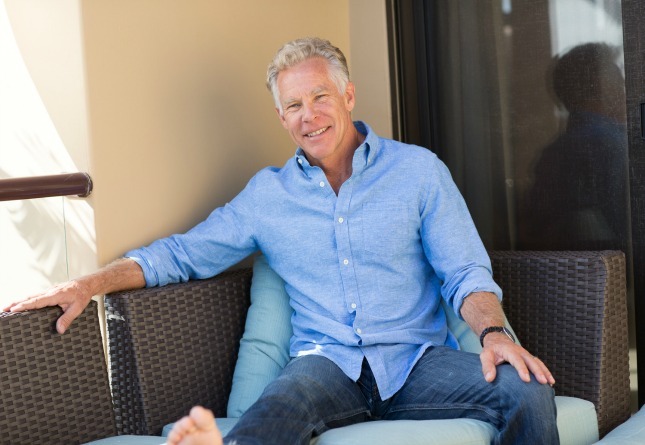 I was wondering about your thoughts on cryogenic therapy for injuries? My doctor recommended that I try it for joint inflammation. May I ask your opinion on occasionally exercising while keeping on the fringe of Lactate Threshold for 30-60 minutes, in the hopes of increasing Strength Endurance, while minimizing the catabolic body responses? How do you approach maintaining or progressing your flexibility? If you even do? Do you have any specific stretching or yoga routine for example? What does your weight lifting routine look like now? I am currently working a starting strength linear progression model of weight lifting and I’m learning that being a hard gainer is a myth. I’m coming close to reaching my strength goals and would like to know how to best move forward once I’ve reached my strength goals. Also, I am currently eating 1 gram of protein per pound of body weight but would like to know how much protein I need to eat to stave off muscle loss after my linear progression program? I’m 62 (almost), have arthritis, scoliosis (had surgery for the upper curve, still lots of problems in the lower curve), and osteoporosis, all of which make it very difficult to exercise for any length of time. I had heard collagen could be helpful for people with osteoporosis. How do you monitor your bone health, and do you take any supplementation for it? Do you have any suggestions for dealing with CNS fatigue? What do you do to recover after something really heavy like deadlifts? 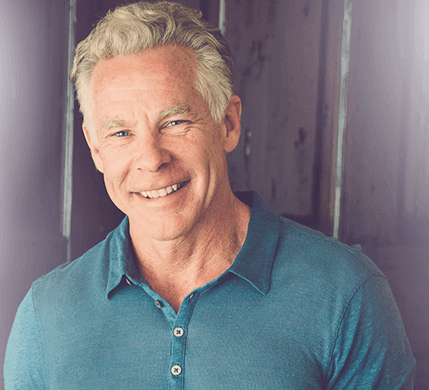 I’m most curious about the practices and supplements that keep you looking young! As a woman who turned 40 last year, my skin is starting to show the signs of aging that don’t reflect how young I feel. Besides an anti-inflammatory diet and practices to reduce stress, are there any specific ways you combat aging skin? I want to first comment on one thing that you said in your post. “It’s not about “hacking” the body’s functioning but understanding it from the ground floor up.” Even with in the health arena of primal/paleo/ancestral eating, etc. We can get sucked into the next big “natural pill” but yet those are still band-aids and not true health. I did have a question for you. I am a young female in her early 20s who is very active between going to the gym, standing vs sitting, talking walks throughout the day, on top of an active job (I clean while I am in grad school) and am underweight and want your suggestion on what nutrition strategies I should take. I do however like intermittent fasting four times a week and am not sure if I should be doing this while I am trying to gain weight? My current macro break down is 55% fat 30% protein and 15% carbohydrates with 1/3rd of that fiber. The typical advice is increasing carbohydrates but I am curious your take on carbs vs fat for healthy weight gain? And if you do suggest adding in more carbs should I incorporate them right after my workout or at dinner? I workout fasted and early in the morning and know that there are benefits (insulin sensitivity) of eating carbs after working out but yet eating them at night allows optimal fat burning but also cognitive performance during the day in addition to increasing serotonin production at night. Any thoughts, I would greatly appreciate. I love learning but sometimes find that I over analyze which causes me to freeze and not take action. Thank you for all of your advice and not getting sucked into any one type of dogma! I play beach volleyball for Florida State University and I play professional tournaments during the summer. I am waiting a few weeks to start my keto journey because of a tournament (I don’t want to hinder performance). I’ve watched so many of your interviews. I have a few vegan friends who firmly believe in the plant based movement. What do you think about their opinion of animal proteins being inflammatory and cancerous? Casein and dairy products have also gotten a bad rap. Hi Mark, from your photos, its hard to believe you were a long distance endurance athlete because you have significant amount of upper-body muscle mass compared to your typical endurance athlete. Is there a particular/favorite routine you do for your shoulders? Or is your physique at this point in your life a product of living completely by the primal/evolutionary methods? I was curious about how much structure is in your day, especially in terms of relaxation. Do you have a set time or amount of time to relax each day, do you set timers to keep yourself from turning 30 minutes into 4 hours? Thanks in advance for the response. I know sometimes you need to adjust based on how you feel, but what does a typical week for workouts/fitness activities look like for you? How do you balance when you do sprints (AKA Ultimate Frisbee) and when you do weighted/PEM workouts? For example how much rest between sprints and workouts do you need to avoid over-training? What book are you reading right now in your down time? I’m a female in my mid-twenties, I wonder if my workouts will need to adapt over the course of my life, how much and what types might be best during what times? I currently lift weights, hike, and do yoga occasionally. Thanks! For those who are on a keto diet, do you count all of collagen towards your protein intake? Even though it is not a complete protein? Hey Mark, I’d like to learn more about how you approach mobility. I’ve been training, using Al Kovadlo’s book, lately. I have never had much shoulder strength and am making gains on that front. I try to counteract the effects of training while at the same time increasing my poor mobility. I find it challenging and would like to know what you recommend, in terms of timing and frequency. Do you cook everyday/night? Do you cook in bulk? If you do, do you eat a lot of leftovers for breakfast? When travelling, what kind of food do you bring? “When in rome”…do you eat as the romans do? I’ve seen a few studies which suggest that collagen synthesis is inhibited by cortisol. Since caffeine elicits a cortisol response, do you think regular caffeine consumption might increase one’s need for supplemental collagen? I know you’re living in the “keto zone” but I’d be interested to hear if you ever to a “carb up” or an all out binge. What does a carb binge look like for you and how do you recover from it? If you had to pick one, EVOO, grass fed butter, or coconut oil for for cognitive functions which would you choose? I ask because I am both a minimalist and on a tight budget for the time being. Does cold adaptation, most specifically 10-15 minute cold shower, help with fat adaptation? What does your morning routine, first 1-2 hours of your morning look like? What does your daily/weekly workout, mobility, wellness schedule look like? What are some of your favorites shows, books, movies? What are your favorite teas or coffee? How do you recommend incorporating the primal lifestyle (in particular the food choices) into raising young children, especially in light of the obesity and diabetes epidemic? Especially on children who are used to being filled with ice cream, candy, and peanut butter and jelly sandwiches? What are thoughts on infants and feeding them cereal made from grains and rice? Do you ever rotate off of supplements for a period of time to give your body a break? Do you think it’s necessary or a good idea? Hi Mark! I was wondering how often you knock out some Primal Essential Movements? Do you specifically make the conscious effort to do them, or do they naturally show up in your daily activities? I’m a female and always wondered why your wife doesn’t do the keto genie diet? Thx! How often do you supplement with creatine? Is sleeping in on weekends really beneficial to health? I know we’re doing everything we can to turn back the hands of time and increase our longevity and quality of life. How does recovery fit in for you? Specifically, how do you recognize when you are on the verge of a performance break-through or break-down? Thanks Coach! Have you ever considered making a cookbook for the healthiest energy enhancing meals? There are a lot of keto cookbooks available, but don’t seem to meet the healthy level I am looking for. I would like to know more about you use hiking to reach a meditative state. Thank you! Hi Mark, do you have any learning protocol? meaning learning new traits, sports, languages, subjects or anything that comes to mind. What are some of your favorite ways to bring creative expression into your daily life? I’m a mother of 8 and an ER nurse who eats mostly primal. I love yoga and trail running and rock climbing. I’ve found the more active I am, the hungrier I get and the more difficult it becomes to steer clear of #allthethings. 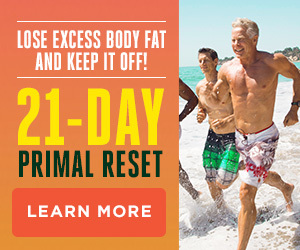 (Mostly junk) How do you stay super active and get enough calories on a primal diet? Do you prefer early morning workouts or evening workouts? Does one have more benefits over the other? I would love to know your travel tips, what you take in preparation to build up your immune system, plus what you do when flying in particular to keep well. Really just any travel hacks you have to try & combat the ill effects it can have on your body. That would be awesome. Would love to know how you incorporate resistance starch into your keto diet. What’s your night time routine? Do you wear blue light blocking glasses or use any blue light free lightbulbs? What time do you get off electronics? Would love to know if you ever have smoothies, & what you think of them? I am often really busy & skip meals, but truly need the calories as I’m very thin. Would love to know what’s is in your smoothie if you do indulge on occasion too. I really want to know how often you have liver, organ meats, oysters, seaweed, all those really nutrient dense foods. Also would love to know what your favourite food is, & your favourite meal. And when will the full primal kitchen & supplement range be available in Australia? What are your ‘go to’ type of places when eating out? If you know you have to eat out due to travel or social events, where do you default to going and what types of things do you make sure and order there to stay on track? Thanks. Has how you come back from injury changed since your days of competitive endurance racing? Any new strategies that work on the experienced crowd? I can’t make it 4 weeks into a training program without injuring myself and this last issue, insertional Achilles tendinitis, has had me sidelined for months. I had done PT and stretching in the past, now focusing on ibuprofen and RICE. What are your thoughts on the “fat decimator” diet? You could add a whole new wing to your business empire!